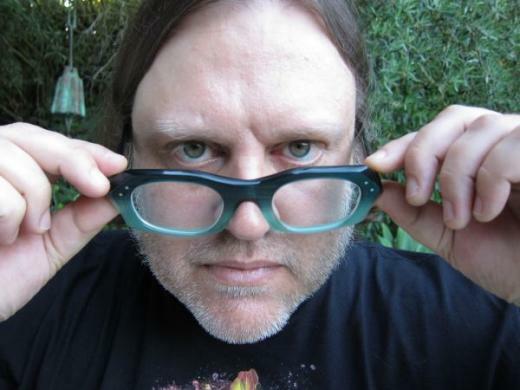 Matthew Sweet is bringing it all back home. The power-pop singer/songwriter grew up in Lincoln, Neb., but spent 20 years living in Los Angeles. Last year he returned to his Midwest roots and moved to Omaha. Around the same time, Sweet released a third volume of covers recorded with former Bangles singer Susanna Hoffs. The project focused on the 1980s and let Sweet play songs from his formative years as a music fan and musician. “I guess I have been a bit nostalgic lately,” Sweet said, revealing the idea to revisit “Girlfriend” came out of marking the album’s 20th anniversary. Sweet and Hoffs started their collaborative cover albums back in 2006. Each installment focused on a different decade, starting with the 1960s. The series concluded with the ’80s, the decade that saw Hoffs’ greatest commercial success with the Bangles and Sweet’s initial success in the music world. Four years passed between the second and third “Under the Covers” volumes. Sweet said their record label, Shout Factory, grew impatient waiting for the next installment. The 1990s were good to Sweet. After bouncing between labels and releasing a pair of albums in the late ’80s, Sweet found a home at Zoo Entertainment and started a run of critically acclaimed albums that also landed a handful of tracks in the Top 40. Sweet moved from New York to Los Angeles to capitalize on his success. Now back in Omaha, Sweet is no longer affiliated with a label. He plans to record at home, and his fans are helping. Money for his 12th solo album eclipsed its Kickstarter goal of $32,000. The project’s funding closed Saturday. He’s now writing songs. “I’m also going to make demos of every song, because I haven’t done it in forever because we’ve just recorded as we went. Those will be available for fans and also will let me pick and choose what I want to use,” Sweet said. Fussing over demos is almost exactly opposite of the approach Sweet took on his previous solo album, 2011’s “Modern Art.” For that album, Sweet intentionally tried to keep his right brain out of the process, making up melodies and recording where his imagination took them. Sweet hopes to have the Kickstarter album out in the spring. Right now there isn’t any new material to debut on tour, but Sweet hopes it won’t be long before he can play new songs.